BAGHDAD: An Iraqi scientist has claimed that he supervised the manufacture of lethal toxins for the Islamic State (IS) terror group for a period of 15 months, The Washington Post reported. In 2014, the IS seized Mosul, the country’s second largest city, and made their way through every government office, rounding up workers and managers who had not yet fled the city and pressing them into service. Suleiman al-Afari, a geologist with Iraq’s Ministry of Industry and Minerals, was then offered a new job. He knew little about the subject, but he accepted the assignment nonetheless. “Do I regret it? I don’t know if I’d use that word,” Afari, who was captured by .S and Kurdish soldiers in 2016 and is now a prisoner in Irbil, the capital of Iraq’s semiautonomous Kurdish region, told The Post on Monday. Afari, 52 and on death row, recounted his recruitment and life under the IS in a rare interview from inside the fortress-like headquarters of the Kurdistan Regional Government’s Counterterrorism Department. He is among the few known participants in the IS’ chemical weapons programme to be captured alive. He described the terrorist group’s successful attempts to make sulphur mustard – a first-generation chemical weapon that inflicted tens of thousands of casualties during the World War I – as part of an ambitious, little-understood effort to create novel weapons and delivery systems to defend the IS’ territory. Afari’s role was to organise a supply chain for mustard gas, outfitting a small cluster of labs and workshops. Weapons created by the IS were used in scores of attacks on soldiers and civilians in Iraq and Syria, collectively inflicting hundreds of casualties. 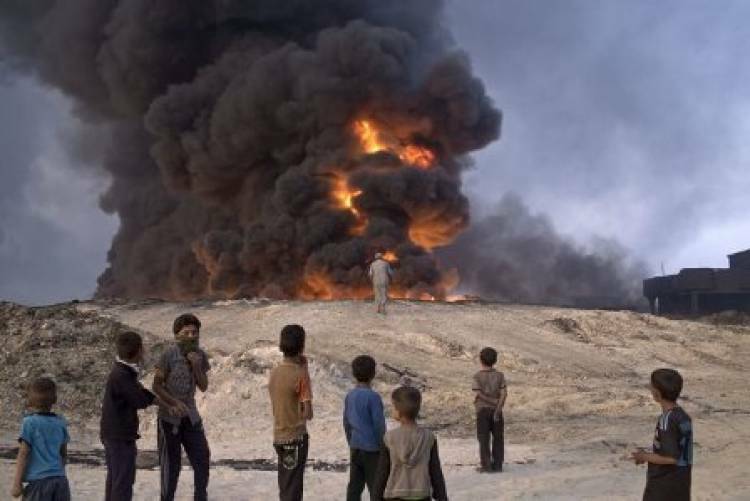 Progress on the programme appears to have stalled in early 2016, after US and Iraqi leaders launched an aggressive campaign to destroy production facilities and kill or capture its leaders. But according to some Iraqi officials, the IS moved equipment and chemicals from Iraq to Syria in 2016 and some of it may have been buried or hidden, The Washington Post added.